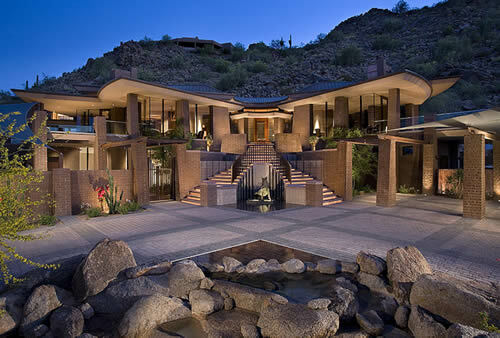 Phx Pavers & Landscaping is one of the state's premier landscaping companies. For years, we have been offering our valued clients with complete landscape services at affordable rates. We can design and build custom landscapes for residential, commercial, public, and other types of properties. Our mission is to create a landscape that is not only functional and appealing but also low-maintenance and sustainable. We encourage you to browse our portfolio to see how we help clients realize their dream outdoor setup. Call us at (602) 992-0468‬ if you're from Phoenix or nearby area. You can also drop by at our office to discuss with us your ideas and landscape plan. Most property owners in Phoenix and nearby areas prefer our complete landscape services because they are assured of a hassle-free landscaping project that is completed on time and even ahead of schedule. We also assure clients that only topnotch materials and industry-approved methods will be used in the installation of various landscape elements and features. Softscape installation. The types of plantings you choose will affect the landscape's overall look and appeal. If you want a lush and beautiful landscape setup, we are the best people to hire. We have seasoned landscapers with extensive experience in softscape installation. They will suggest the right types of plantings that will perfectly suit your desired outdoor setup. We can install annuals, perennials, shrubs, shade and fruit trees, ground covers, and different varieties of turf for your lawn. Hardscaping. Hardscape features are permanent structures in your landscape. They are important features since they make your outdoors more functional and safer. Some of the hardscape features that we highly recommend for residential and commercial properties are retaining walls, walkways, garden paths, driveways, sitting areas, entryways, and other masonry structures. Water and fire features installation. As a property owner, you want a landscape that offers a calm and relaxing outdoor ambiance. At Phx Pavers & Landscaping, we can easily achieve this setup by installing water and fire features in strategic areas in your property. We can design and install waterfalls, ponds, fountains, bird baths, and pools. Some of these water amenities require a bigger budget to materialize, so we will first discuss with you the best feature to install on your backyard. Fire features are also vital landscape elements, so we typically include them in our complete landscape services. You can hire us to install custom-built outdoor fireplaces and fire pits. Outdoor living amenities. Creating beautiful outdoor living amenities is also our expertise here at Phx Pavers & Landscaping. We can build patios, gazebos, pergolas, pool decks, outdoor kitchens, and other structures that are specifically built for outdoor living. With these features, you’ll fully enjoy the beauty of your landscaping and be able to spend memorable moments with your family and friends. As one of the most trusted landscaping companies in Arizona, Phx Pavers & Landscaping is always the best option for clients who want excellent results. We are licensed by the state as masonry and landscaping contractors, so we have the capabilities, skills, and resources needed to complete any kind of landscaping project. With these qualifications, we can offer complete landscape services that satisfies the needs and requirements of our clients. Call us today.